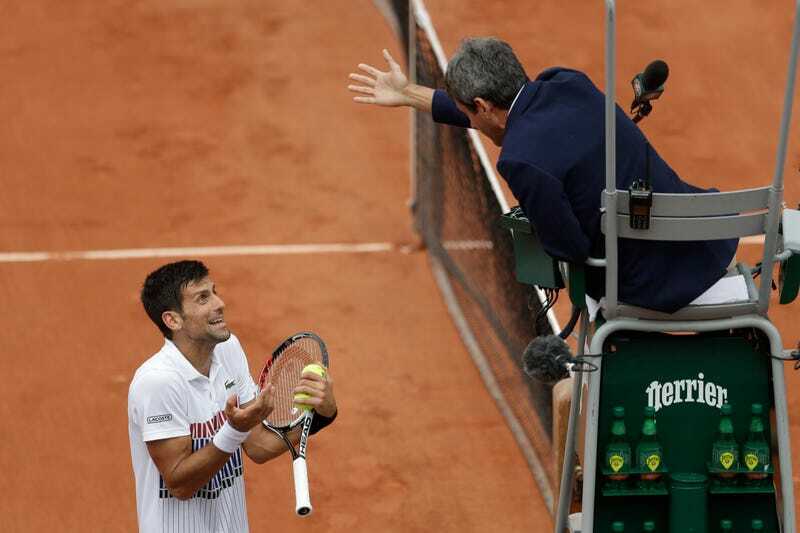 It wasn’t the words—in Serbian, he said “4-0, again he gives 4-0,” in reference to the score in that set—but the racket gesture that triggered the warning. Anyway, the tennis was pretty good, too. Despite balling out in the first three sets, getting into some loose and brave baseline rallies against a superior foe, Schwartzman physically gave out and took a medical timeout in the fifth to treat his back. 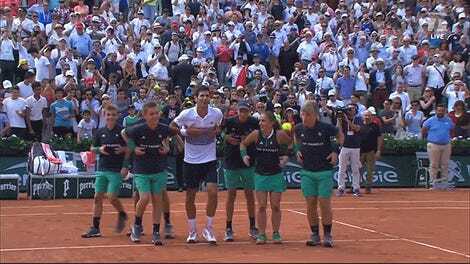 Very few living humans are fit enough to hang with Djokovic for five sets, probably none of them are 5-foot-7, and the defending champion prevailed, 5-7, 6-3, 3-6, 6-1, 6-1.